When you read that Africa tented camps are a reminiscent of safaris of a bygone era – take it from Ontdek, an operator of nature safaris in Kenya, THEY ARE NOT. The pioneers of the African safaris would feel completely lost in the modern African safari camps which are a perfection of African-themed chic interior design, bush luxury and comfort taken to levels of the Ritz. At its most basic a tented camp is just that – a canvas strung on pegs that protects you from the elements and the wildlife while still giving you the “I-belong-with-them” feeling. And what else can you ask for on an African safari? Once you have cut out the pretenders to the Africa tented camps league, most safari camps give an indulgent experience that pushes luxury living to the stratosphere. Start with size – the tents are extravagantly huge. Beds are king sized. Fine crisp linen that is snow white (beats you how they do this in the bush). Bathrooms with modern fittings, flush toilets, high pressure showers etc. 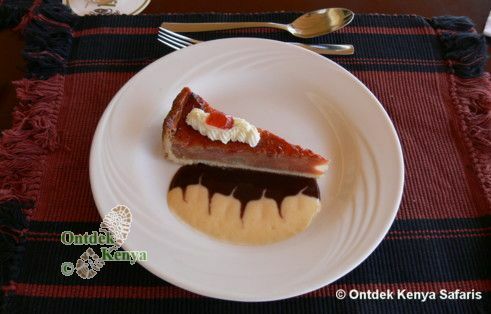 On matters of food – Africa tented camps demonstrate culinary skills and flair in food that is worth traveling for. If we take the above as baseline requirements, what criteria should you use in choosing an African safari camp? 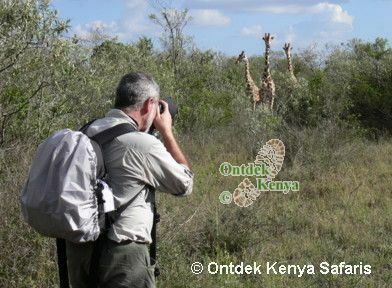 Upfront, Ontdek does not own any tented camp in Kenya but with our many years of experience in walking, bird watching, photography and responsible safaris in Kenya (we started in '96), we have worked with several camps and our booking decisions are solely based on the best interests of our clients - who are nature travelers. Though this web page is based on our experience in Kenya, the recommendations in it can be applied in your selection of tented camps throughout Africa. Our aim is to help you make an informed decision. Contact us for your safari. 1) Your interests/hobbies: If you are a walker, a bird watcher or a wildlife photographer, ensure that you will be able to engage in your chosen activities within or in close proximity to the Africa tented camp that you are booked in. E.g. in Masai Mara, there are tented safari camps that are in concession areas way outside the main park and they do not have a good population of wildlife. Regrettably, these camps are marketed as in the main “Masai Mara” and however comfortable the camps are, you will not be able to fulfill your desire for wildlife viewing. Consider also that excursions to the main park are billed as extras. 2) Transport to the Africa tented camp: Here is a case of you and your budget. 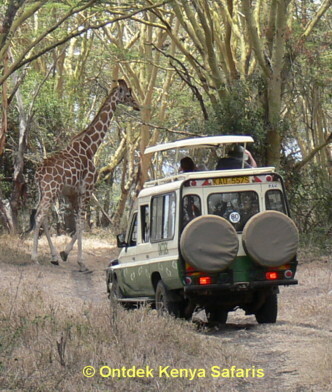 Some safari camps are easily accessible by road, so you can drive in with the vehicle of the safari operator but others are in far off corners that need a charter flight. 3) Availability of competent guides: Read this with (1) above, some interests e.g. bird watching require competent guides. If you are a birder, do ensure that your Kenya tented camp has competent birding guides - not just one who can figure out the Ostrich and Secretary bird – he should with ease take you through Cisticolas, Larks and Pipits. 4) Number of tents in the camp: Again this is a budget issue. 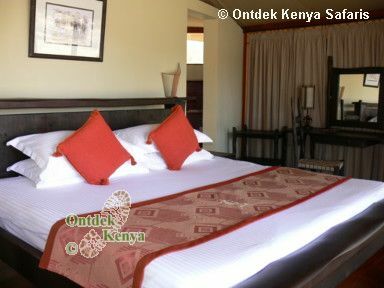 Small safari camps in Kenya (6-10 tents) are more expensive than those with 20-30 tents. However, the higher number does not mean that the tented camps are inferior; for a fact they work best for clients who want to drive in with their own vehicle and guides, something which most of the small camps highly discourage with exorbitant prices for accompanying local guides. 5) Availability of vehicles while in the African tented camp: Most camps include vehicles for game drives as part of the ground package BUT it is important that you read the fine print as in most cases the vehicle is shared with other camp residents on seat basis and is only available for a certain number of hours - not all the time. This works well where all occupants are the regular “wildlife viewers” but if you want maximum time in the park to pursue e.g. photography or bird watching, then vehicle is billed as extra. Easily work on +US$300 per day. 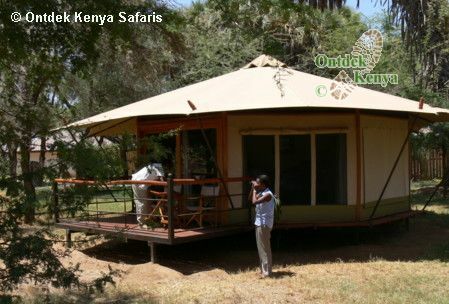 For a consultation on planning your non-package holiday using tented safari camps in Kenya and with your own naturalist guide and vehicle, please contact Ontdek Kenya Safaris.